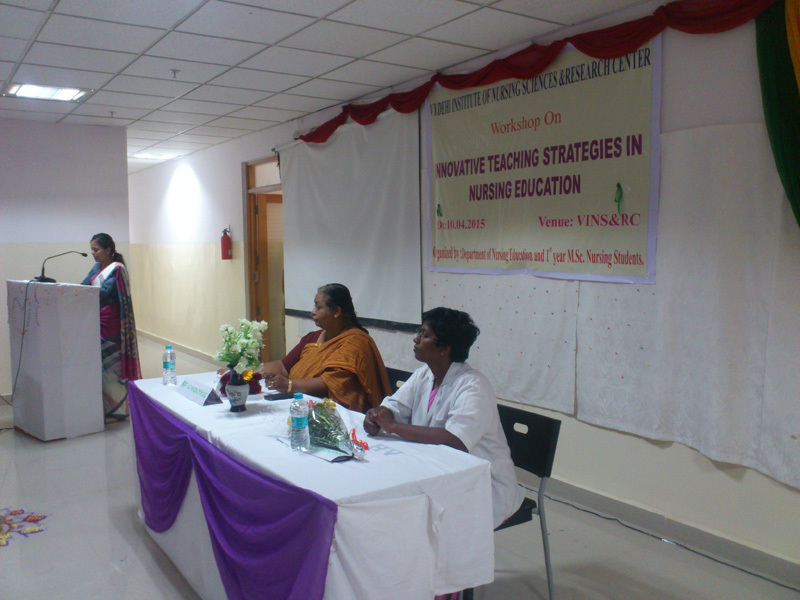 Department of nursing education and M.Sc Nursing I year students have organized a workshop on innovative teaching strategies in Nursing Education on April 10th 2015. B.Sc (Nsg) II year, P.C.B.Sc (Nsg) II year, M.Sc. 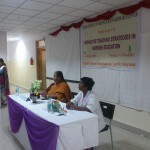 (Nsg) students and faculties were the participants; totally 70 participants were there for the programme. 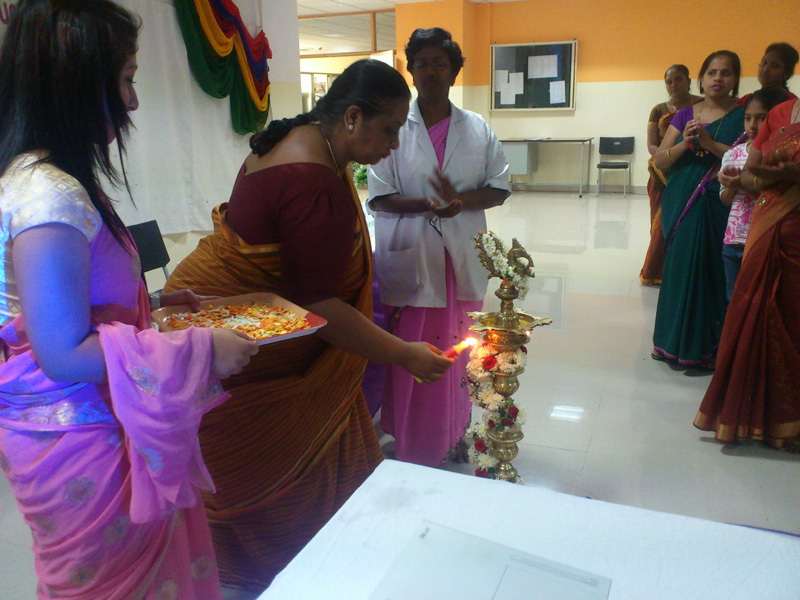 The programme started at 10 am with the inauguration by our principal Prof. Mrs. L.E.Madhumathi followed with pretest for the participants. The sessions in the morning started with the concept of innovative teaching strategies by Mrs. B. Sujikumari, Lecturer in Community Health Nursing. Concept mapping was presented by Mrs. Menaga .P, Asst. Prof. in OBG Nursing. After the tea break of 10 minutes the sessions started by Dr. Ramachandra, Additional Professor in department of Nursing, NIMHANS, who has been invited as a resource person for the topic problem based learning. 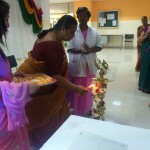 The morning session ended with simulation presented by Mrs. Jeyarani, Associate Professor in Medical Surgical Nursing. In the afternoon sessions, group activities were organized by the resource persons. Participants were divided into three groups and each group was given the activities like concept mapping, problem based learning and simulation. The activities were presented and clarified with the resource persons. Workshop ended with post test and certificate distribution to the participants and resource persons by 4 pm.